Finding inspiration isn’t difficult when you are constantly awed. As most of you know I spent my Summer as an art resident in North Carolina. I was there for 6 weeks. After being home for almost two months I find myself lured out of the state yet again. A death of a family member recently brought me to Carrollton, Ohio. It’s a farm town and there are signs that say “GOT MILK? Thank a Carroll County Farmer” everywhere. It’s got a small town vibe with a handful of restaurants-most of them closing at 8PM. On my way back up North I spent some time in Bakersville, NC and I stayed in Johnson City, TN for a few days. Travel brings me life because, depending on where I go, I am always awed. 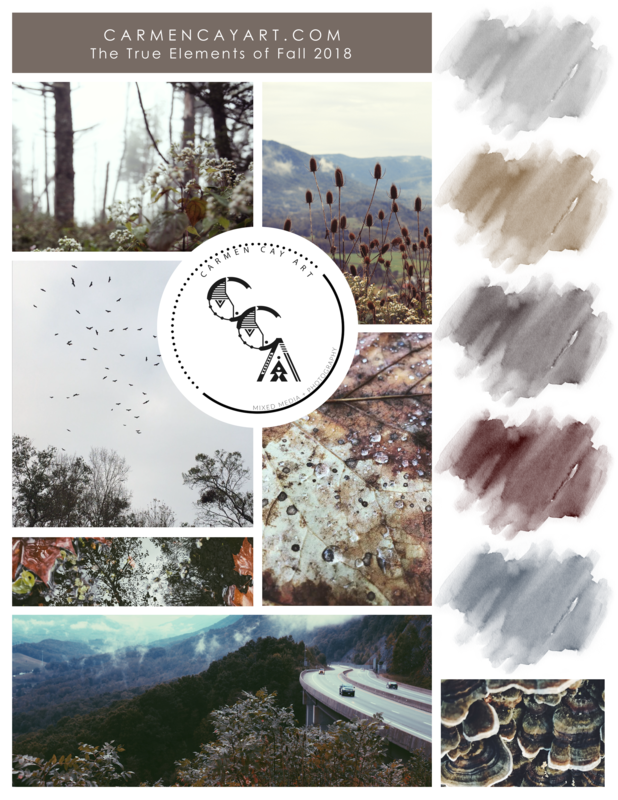 Mountain views, hiking in the woods with leaves crunching beneath my feet, the feel of cooler temperatures…all of these things have been truly inspiring for me and I feel a new style emerging. 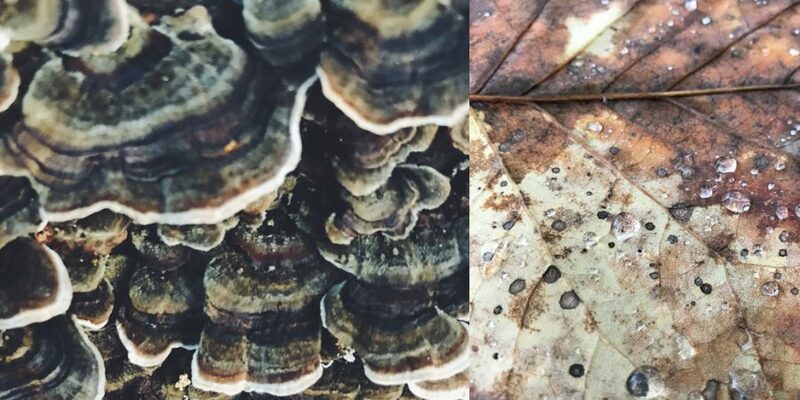 I created this Fall Mood Board with photos I’ve taken over the past few months. I’ve been inspired to use more of these natural elements in my art. My plan is to incorporate my use of encaustic and collected botanicals with my photography and to do it all on a larger scale. Before I came to Ohio I met with a popular Jacksonville CORK artist I’ve known for over a year. She and I have a connection not only through our abstract art but with using art as healing coupled with our experiences as women in the world. I am excited to start working on this show with her and to finalize the pieces I’ll be working on. I look forward to this fusion of mediums, starting with (photography) and ending with the work I’ve done over the past two years. Thanks for following along on my journey!